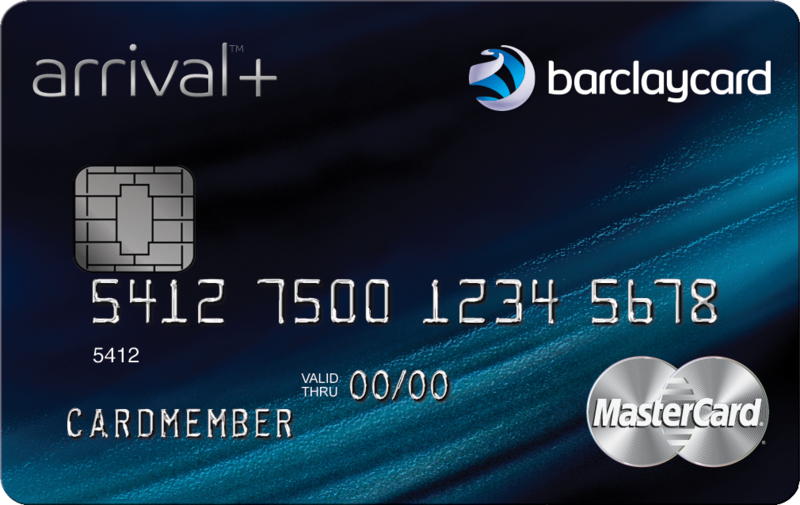 Earlier this month, I signed up for my second Barclaycard Arrival Plus credit card. I explained how the sign up bonus for the same card could be churned as long as you don’t have an existing Arrival Plus or regular Arrival card. Two weeks later, I’ve already received my sign up bonus and redeemed my miles towards $550 worth of travel! The best thing going for the Arrival+ credit card is the big 50,000 mile sign up bonus after spending $3,000 within the first 3 months. This card earns 2x miles on every single purchase. The way these miles can be redeemed is only towards travel expenses of $100 or more made within the last 120 days. 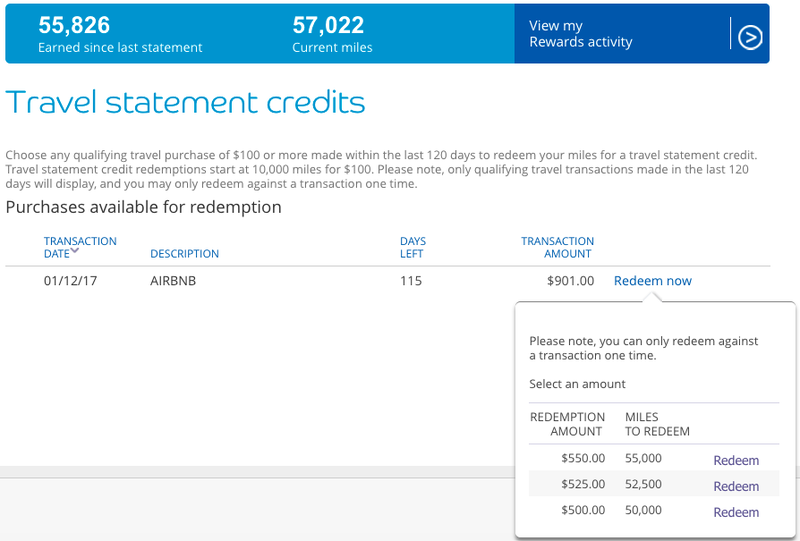 Once a mileage redemption is made, you get a 5% rebate on miles redeemed. This essentially makes the Arrival+ a 2.1% cash back travel card. Barclaycard makes it quite a hassle to use this card long term, since minimum redemption of miles is 10,000 miles. Doctor of Credit does a great write up here on using math to optimize redemption of these miles. He basically concludes by saying that a normal 2% cash back credit card (such as the Citibank Double Cash card) is better to use long term than the Arrival+ card. 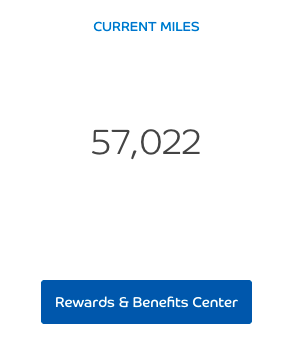 While the Arrival+ card’s annual fee of $89 (charged the second year) makes this a poor card to keep long term, the 50,000 mile sign up bonus is definitely worth a look. To quickly reach minimum spending, we put a lot of big charges like car insurance ($597 for 6 months of car insurance coverage for 2 vehicles) on the credit card. For our upcoming Japan trip, we booked an Airbnb stay in Tokyo for 4 nights for $901. For our big group of 5 adults and 2 children, Airbnb options include excellent location, free portable wifi, clothing washer and other amenities that hotels don’t offer. Since Airbnb stays count as travel expenses, we used our big 50,000 mile sign up bonus to save money on our Airbnb stay. If you’ve never stayed at an Airbnb, consider signing up through my referral link here (thank you for your support!). 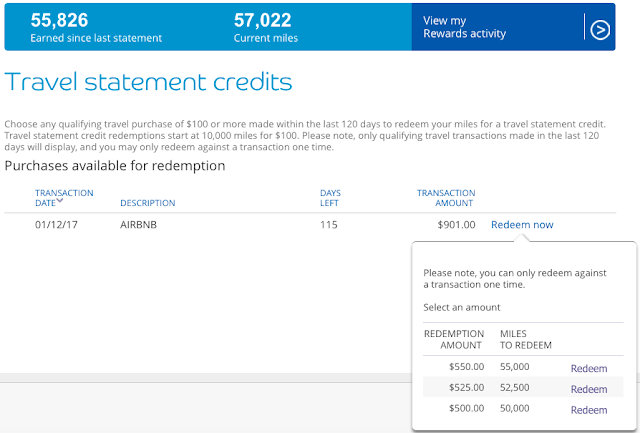 It was extremely easy to redeem my miles and I used 55,000 miles towards a $550 statement credit. Since Barclaycard rebates 5% of miles redeemed, I received a credit of 2,750 miles to add to my balance. Barclaycard makes it very easy to redeem miles towards any travel related expense, like our Airbnb booking! Would I keep this card and pay the $89 annual fee? Definitely not.